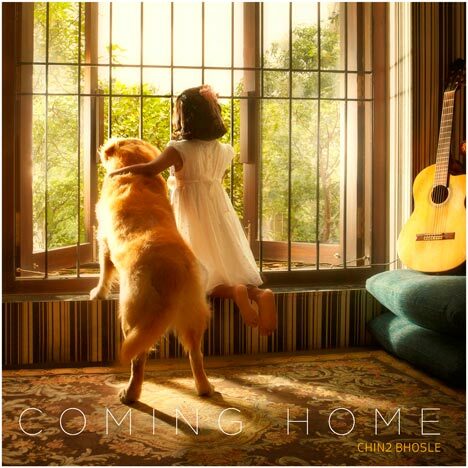 Coming Home | Chin2 Bhosle | OK Listen! Everyone has that one special place in their life where they feel the most loved, the most secure and the most comfortable. That 'place' could be a person, a country or quite simply, your home! The title track of this album, ‘Coming Home’ has been inspired by that special person and place in my life and I hope that the song takes you to that special space in your life too! Each song in this album has been inspired by real people or real happenings. I find it difficult to write without inspiration and I love my life and the world around me for the inspiration it brings. Another thing about this album is that every song is bilingual (i.e. has been sung in Hindi and English) and most of them have a unique Indian (or ethnic) instrument being played in it (see song listing to know more). For my bhaiyo and behno’s, this is that extra ‘tadka’ that we all so look forward to in our food and for the ‘angrez da puttar’ (that spells foreigners! ), this album is a peek into my beautiful country and the awesome instruments we use in our music here! “Like most people I know (and that probably includes you reading this! ), I don’t think I really understand why I am here or what my purpose in life is!” says Chin2 Bhosle.